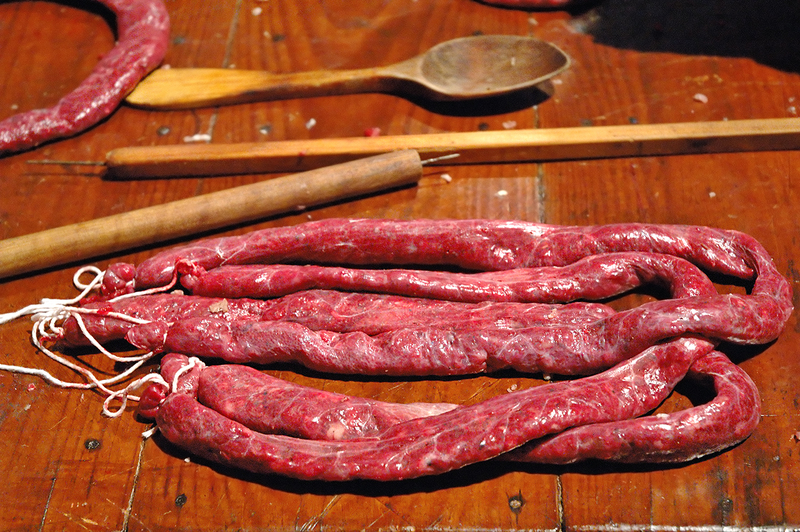 Here is a picture of a Catalan sausage or botifarra. The typical Catalan sausage is made of pork and spices. Botifarra is also a game of cards and what you do with your finger or arm to other drivers when they suddenly get in you way. Today I will show you some pictures of the procedure followed to elaborate a sausage. Good traditional products are hand made in small towns the old way. Many times inhabitants celebrate special occasions killing an animal following more or less the same ritual: a skilled neighbor is called to take charge of the slaughter or matanza which starts early in the morning. Once the pig is killed, women pick up the blood and innards while the same butcher takes care of the meat. 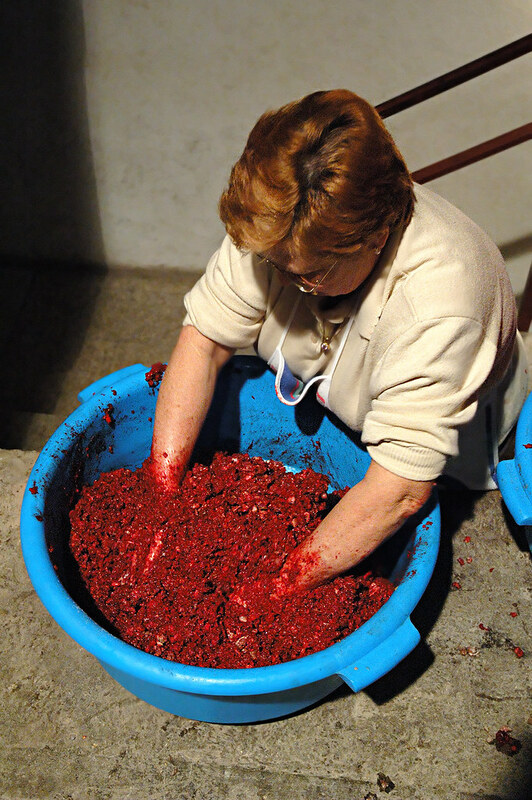 The ladies mince the meat, saltpepper it and stuff it in the bowels' skin previously cleaned. More of this process tomorrow. The butifarra in the picture is a raw blood sausage which looked great for my food set on Flickr over the wood of the table.